The Last of Us and Uncharted developer Naughty Dog will release an art book to celebrate its 30th anniversary, according to a post on the PlayStation Blog. 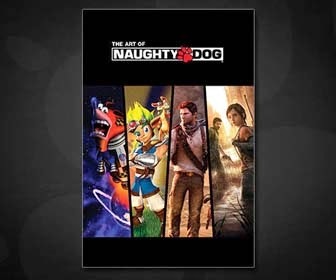 The developer is teaming up with Dark Horse Comics to release The Art of Naughty Dog, which will be available later this year. It will track the entire history of Naughty Dog and feature hand-picked and never before released artwork from the developer’s past, present, and future. One chapter will also be dedicated to some of the art fans of Naughty Dog games have created over the years. According to the PlayStation Blog, Naughty Dog will also have “other celebratory merchandise” available in the next few months. Last week, Naughty Dog revealed it’s bringing The Last of Us: Remastered to the PlayStation 4 this summer.